Boondi k laddoo recipe is a simple recipe that can be prepared with minimal ingredients. 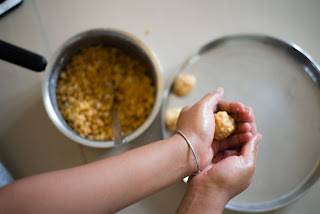 Preparing sweet dishes at home is definitely something that we all should practice. It is much more hygienic and fresh. If we stick to only homemade sweets then definitely our consumption of sugar will reduce drastically. So, today on the occasion of Ganesh Chaturthi, I have prepared boondi k laddoos. 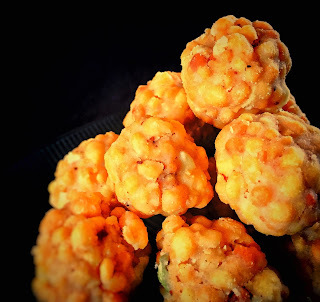 Here is the recipe of boondi k laddoo with step by step photos. Take one cup gram flour in a bowl. Add little water and mix well. Ensure that there are no lumps. Once you are sure that there are no lumps then slowly add more water. Keep on mixing it really well. 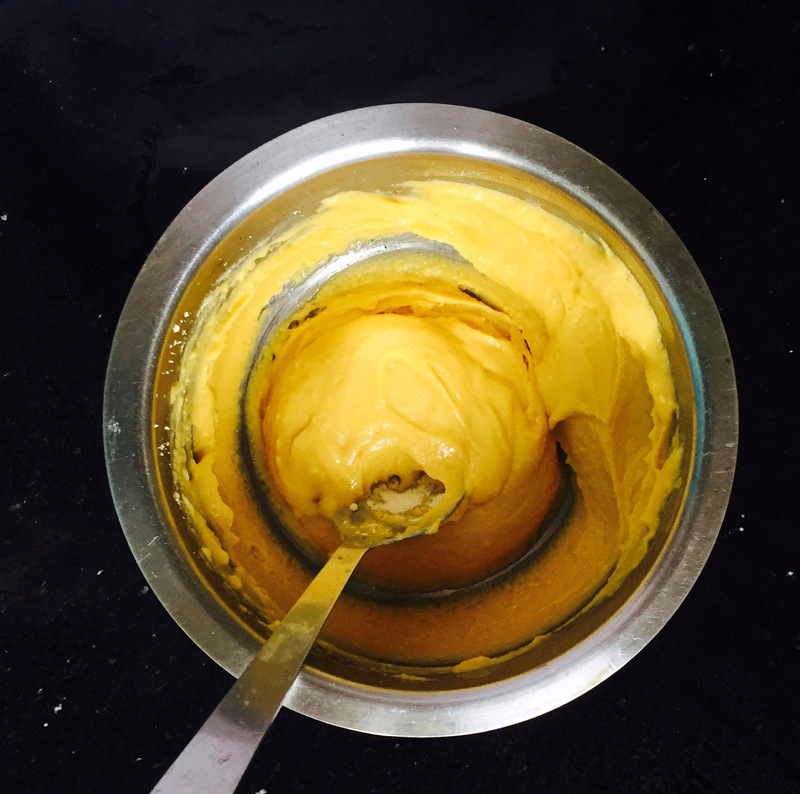 You should whisk it for good 4-5 minutes. Final mixture will be of pouring consistency. Keep it aside. Now we need to prepare sugar syrup of one string consistency. 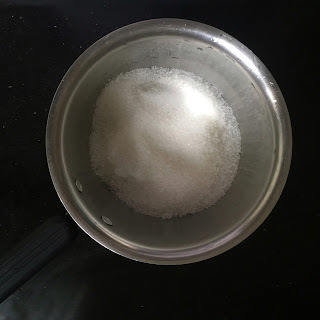 For preparing sugar syrup take 1.5 cups of sugar and 1 cup of water. Heat ghee in a pan/ kadhai. Take a spatula with holes. Pour 1 tbsp batter on the spatula. 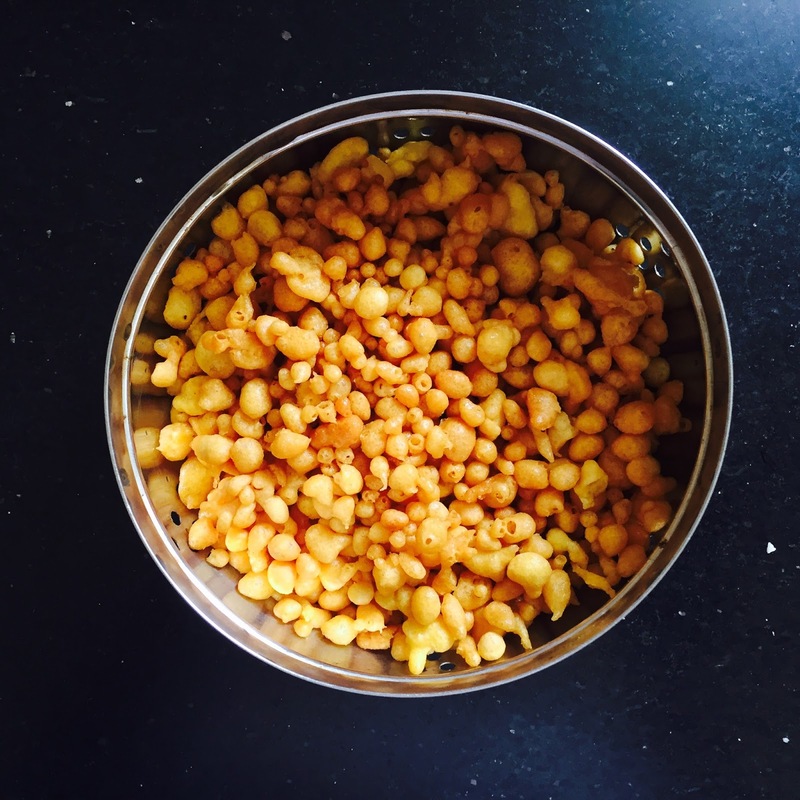 Don't pour more than 1 tbsp Otherwise boondi will stick to each other to form a lump in the centre of kadhai. Soak boondi in sugar syrup for 30-45 minutes. Mix Cardamon powder and roasted dry fruits too. 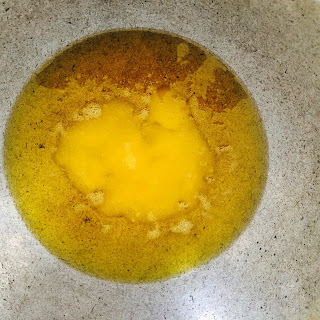 Press this mixture with your hands and try to give round shape. 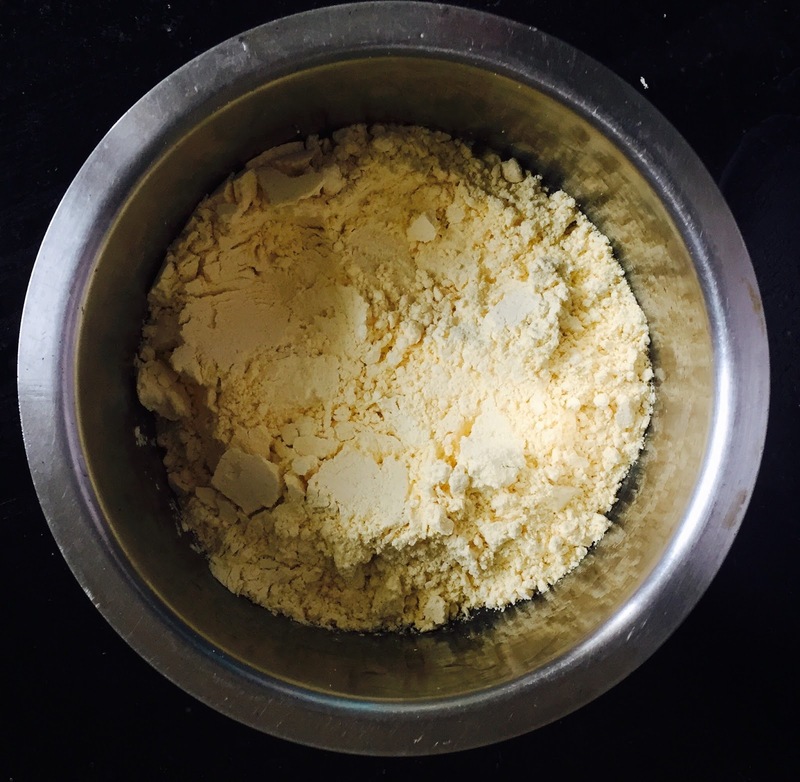 Take one cup of gram flour in a bowl. 2. Add a little water and mix it very well. Ensure that there are no lumps. 3. Add more water and whisk it for 4-5 minutes. Batter should be of pouring consistency. Once it is done you can keep it aside. 4. Take 1.5 cups of sugar in a saucepan. 5. Add 1 cup of water. Heat it until you get one string consistency. 1.5 cups of sugar with 1 cup of water. 6. Take a drop of sugar syrup between your thumb and finger. Test it as shown in the pic. If you get one string then its perfect. Turn off the stove and keep it aside. 7. 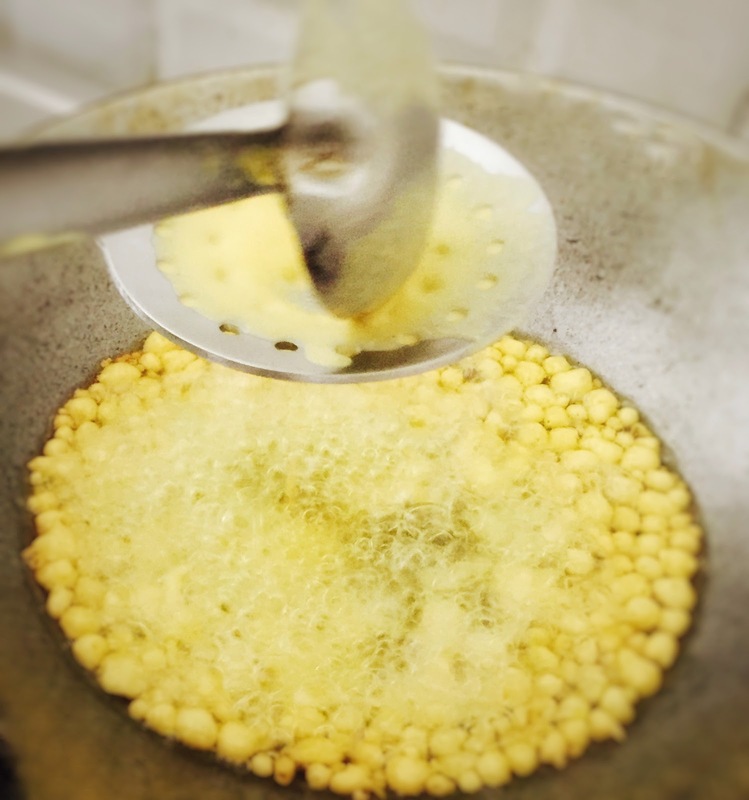 Heat ghee in a kadhai for deep frying boondi. 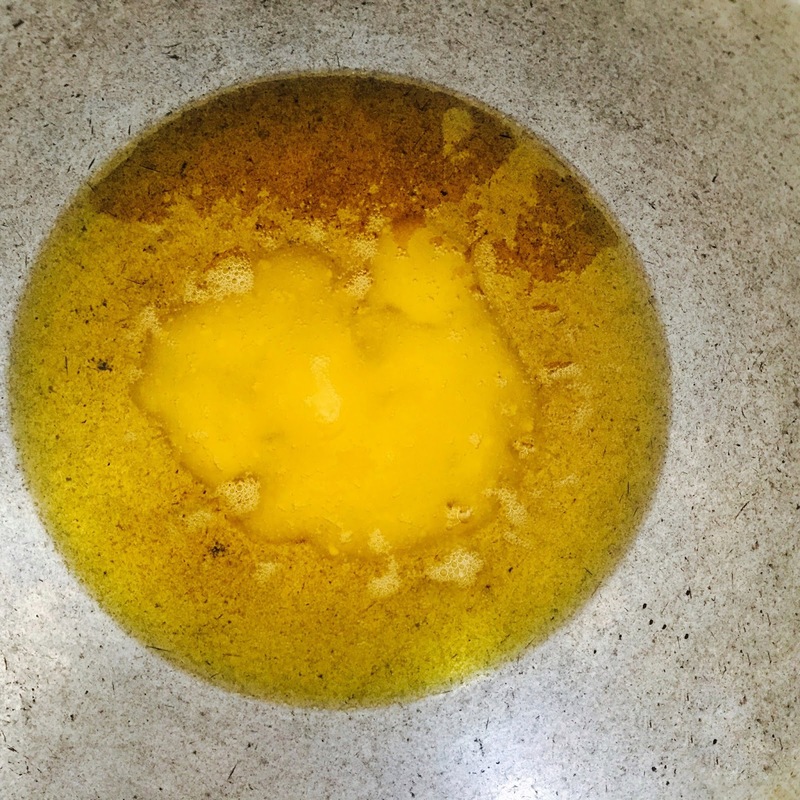 You can also take refined oil for deep frying. 8. Take a spatula that has holes(as shown in the image below). Pour a tbsp of batter on this spatula. 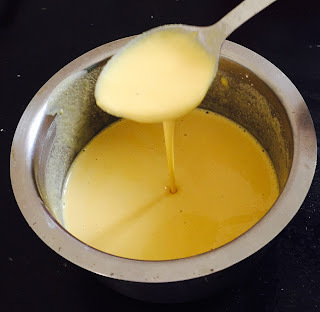 batter will take the shape of boondi. Deep fry it until golden brown. 10. Add boondi in the sugar syrup. Also add cardamom powder and roasted roughly chopped dry fruits. Let it soak for about 30-45 minutes. 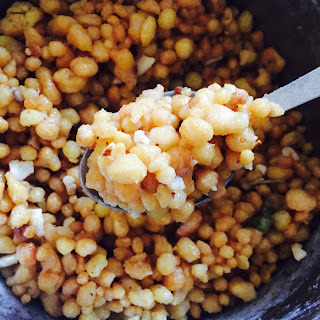 Added boondi in sugar syrup with dry fruits and cardamom powder. 11. 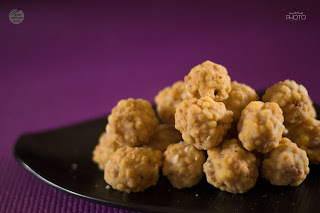 Now we have to give a perfect round shape to our laddoos. For this take a generous amount of boondi. Press it really tight. Keep on doing this until you are able to get good round balls!